Boost your child's interest in exercise with this Mini Trampoline. 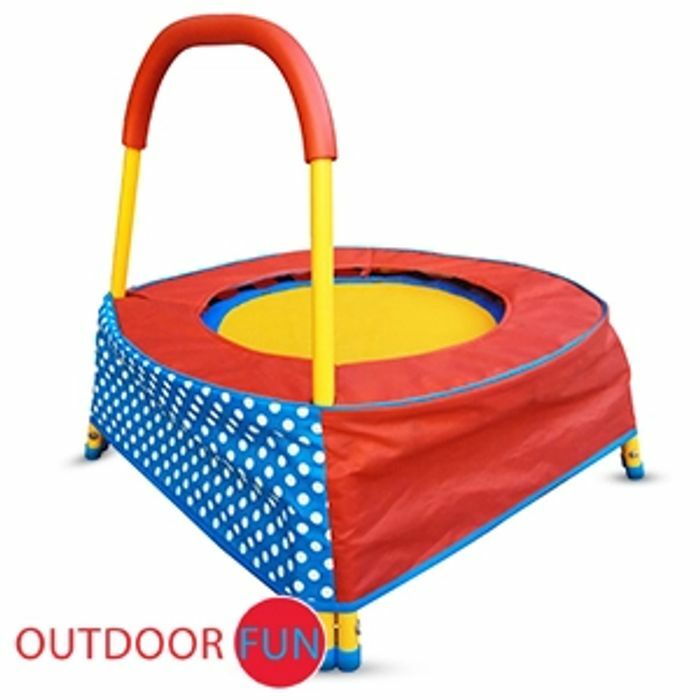 The fun, attractive colours will entice children to jump, play and can help to train their physical co-ordination and balance. The handle bar is comfy for tiny hands to hold onto whilst jumping for joy. During the summer months, your little ones can be outside enjoying the fresh air and exercise, whilst during the colder months, the trampoline can be brought into a wide open indoor space for them to enjoy! My little girl would love this but with 3 kids in this house it would cause too much drama. Lol great find tho. Aww it would be fights all round lol, even if no one was playing on it and one decided they all would want it in the end lol.